The weather may soon be changing for the better, and your house can follow suit. With spring on the horizon, it’s time to get the home exterior straightened up for real estate showings. 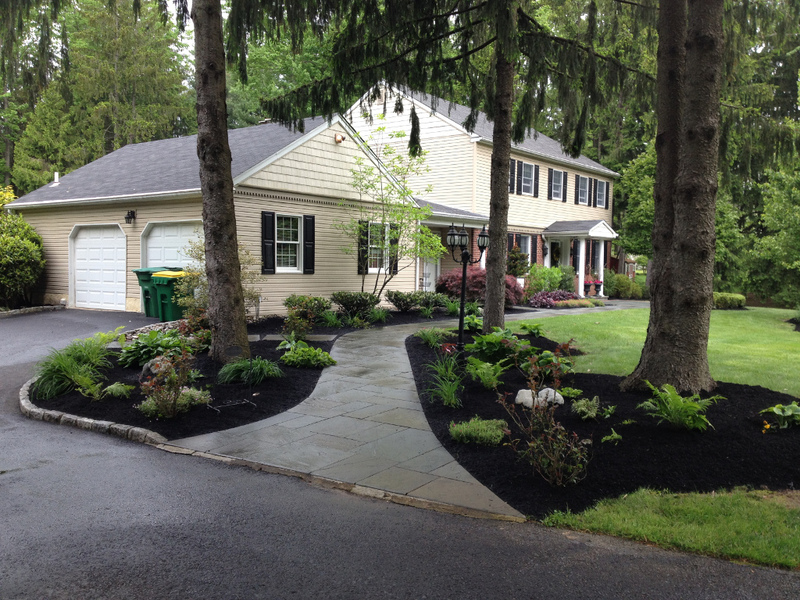 What’s your plan for increasing curb appeal? Did you know it’s not only about the lawn? Curb appeal actually involves everything from the yard to the front door to the siding. Here are some tips to increase your home’s curb appeal before you start showing it off. Freshen the shutters, trim and front door by splashing on a fresh coat of paint. This is a great time to add a swatch of color to a neutral exterior that helps it pop to prospective homebuyers. If you need professional help, the cost of a small paint project averages between $600 and $800. If you have a showing in the evenings, outdoor lighting can accent your home exterior and light the path to the front door. The best method is to install landscape lighting along the sidewalk or driveway. Consider installing LED lights or solar-paneled lamps to save on electricity. Garden art can help to really sell the front lawn, if homeowners place the right pieces. Although gnomes might not be best, windmills, rock gardens or wireframe animals could add to the landscape. This Old House lists various ways for homeowners to create a secret garden with cheap art, including a do-it-yourself leaf birdbath, recycled bricks and iron rings. A green, well-maintained yard should be the key selling point when buyers drive up. Shrubs, trees, flower beds and the lawn need to be in top shape to complement the home exterior. If homeowners don’t want to worry about maintenance, they can hire landscaping professionals. For example, hiring a professional arborist to trim or prune trees will cost between $390 and $580 depending on the scope of the work. General tree and shrub maintenance, such as fertilization and pest control, will cost between $260 and $440 per year. Snowstorms and other winter weather patterns often cover driveways and siding in dirt and grime, which decreases the exterior appeal. Homeowners can remedy this by washing those areas down. To save time, they can also hire a professional for approximately $300 to power wash these areas. If the snow or deep freezes might have killed some plants, homeowners can plant new flowers of various colors to brighten the front yard and increase curb appeal. Better Homes and Gardens released a list of the must-grow trees, shrubs and vines for 2014 with types to fit any kind of landscape such as hydrangeas, magnolias and lilacs. Spring Will Be Here Soon! !